Fifty years after her father delivered Hofstra University’s commencement address and received an honorary degree, Dr. Bernice A. 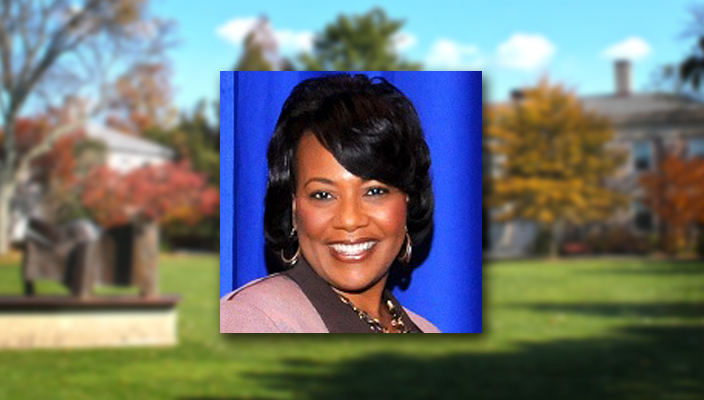 King, CEO of The King Center and youngest daughter of Dr. Martin Luther King, Jr. and Coretta Scott King, will participate in a moderated dialogue at John Cranford Adams Playhouse on Friday, October 23 at noon. Following the dialogue, Dr. King will be the keynote speaker at a dinner celebrating the 50th anniversary of the New Opportunities at Hofstra (NOAH) program. The first private college program in the nation providing academic, financial and social support for economically challenged students of color. She will be awarded a presidential medal, among the most prestigious honors the University bestows on an individual. Dr. King’s noon address, “A Conversation with Dr. Bernice A. King” at the Adams Playhouse, is free and open to the public, but advance reservations are required. Tickets to the NOAH 50th anniversary dinner, in the Sondra and David S. Mack Student Center, are available for purchase online. (All proceeds will benefit the NOAH Program). Bernice A. King is an attorney, minister, activist for nonviolence social change and CEO of The Martin Luther King, Jr. Center in Atlanta, which is also known as The King Center — a non-profit organization founded by her late mother, Coretta Scott King after the assassination of her father in 1968. She is a powerful orator whose first major public speaking appearance was at the age of 17 before the United Nations, where she spoke in her mother’s stead. Since then, she has spoken all over the world – at universities, major corporations and at the White House. She is a graduate of Spelman College, and earned a master’s degree in divinity and a law degree from Emory University. Her father was Hofstra University’s commencement speaker in May 1965, less than a year after winning the Nobel Peace Prize. 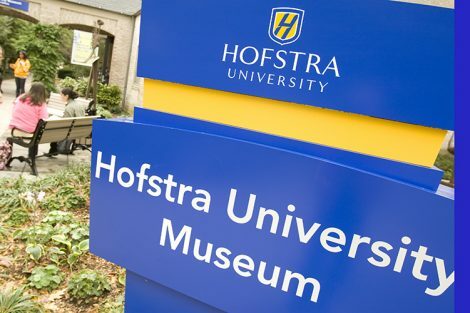 A year before Dr. King delivered the commencement address at Hofstra, the University launched the NOAH program, becoming the first private college in the U.S. to create a special program that provides motivated, diverse students better access to higher education. 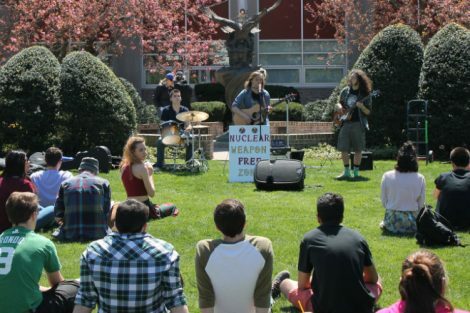 The NOAH program, which has helped more than 1,800 students attend Hofstra, is the model for New York state’s Higher Education Opportunity Program HEOP). The NOAH program does more than provide access to college for promising students from disadvantaged backgrounds. 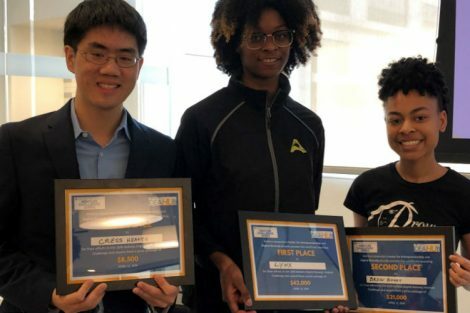 The program requires all NOAH students to complete a Summer Academy before they begin their studies, and supports them throughout their time at Hofstra, with academic counseling, mentoring, tutoring, and leadership development opportunities. “It’s a great honor to have someone of Dr. Bernice A. King’s caliber celebrate this milestone with us,” Dr. Berliner said. As part of the anniversary celebration, the NOAH Program will honor Dr. Berliner and several alumni, faculty and staff, including: Dr. Margaret Abraham, professor of sociology; Rhetta I. Bell ’80, math instructor; Dean E. Bennett ’81, ’10, president, J.K. Bennett & Assoc. ; John C .Guthman ’92, director of student counseling services; Michael Jackson ’94, recreational supervisor, Village of Westbury; and Sybil Mimy Johnson ’95, ’99, deputy Title IX coordinator and director of community engagement at Farmingdale State College.